Posted by randydeutsch in BIM, books, change, collaboration, education, IPD, technology. Collaboration is no longer a “nice to have” skillset to take along in one’s toolkit. In an industry not known for it’s warm relations, AEC practitioners need to build their relationship muscles as they enter this great new integrated world. The AEC industry has a productivity problem – one that has grown worse in the past half century. In other words, if BIM cannot save us, what will? The answer is collaboration. Working together, strategically, earlier in the design process and ever more effectively – together with technologies such as BIM – will assuredly increase productivity in our profession and industry for the first time in over fifty years. So, how best do we go about collaborating? I have written about Andrew Pressman and his enormously prolific and influential writings for architects before. Here, I would like to introduce you to perhaps his best, and most important, book. You know it is going to be a great book when the formidable Professor and Head of the School of Architecture at University of Minnesota, Renee Cheng, pens the Foreword. This is more than a simple guidebook; it challenges the status quo—and the reader—to think critically about collaboration, and to change the design process from project inception to completion. Anticipating that some readers may ask why collaborate?, the book opens with a rationale for collaborating. The author also explores Why have architects been inherently non-collaborative and provides many relevant reasons. In Chapter 2, alternative collaboration models for architecture are introduced, including managed collaboration and an integrated approach. Chapter 3 provides examples of and precedents for traditional collaboration in practice, and touches on the art of being a good team member. The next chapter importantly discusses the role of collaboration in technology. It is to Pressman’s credit that he doesn’t shy away from the subjects of building information modeling (BIM,) and integrated project delivery (IPD,) both enablers of collaboration in the profession and industry. The book, short in length but long on useful information, closes with case studies, including the best (and worst) practices, team failures, strategies for design excellence on large projects, and views from a crossover career: architecture to construction. You can see more of the book’s contents here. captured the essence of a collaborative process in the following vignette. The really good idea is always traceable back quite a long way, often to a not very good idea which sparked off another idea that was only slightly better, which somebody else misunderstood in such a way that they then said something which was really rather interesting. Think like an architect. The conventional wisdom about integrated project delivery is to stop thinking like an architect, i.e., do not emulate the cliché Howard Roark control freak. No, no, no! Rather, keep thinking like an architect—design and maintain control of the process. Is managed collaboration like a managed care: HMO vs. IPD as a PPO for design? The leader can be the facilitator for the session but also the designer of it, ensuring appropriate engagement and accomplishment in accordance with the distinctive role of each collaborator, and of course, the agenda. A typically excellent insight – the book will challenge many of your preconceived ideas and thoughts about how architects ought to practice. The book – which reads more like an engaging conversation than a non-fiction book – will have you writing in the margins and asking questions of yourself, your colleagues or classmates – and the profession – throughout. 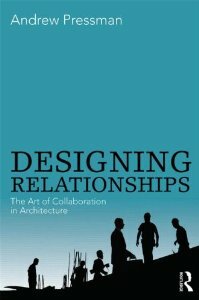 Andrew Pressman FAIA in his new book Designing Relationships offers general axioms that support traditional collaborative dynamics, or in other words, eleven counterintuitive and provocative statements promoting collaboration in architecture, and a great deal more. What the book boils down to is a penetrating and immensely valuable toolkit for design professionals who are weary of – or wary from – working on teams. This is a book that every emerging professional needs to read. I will definitely make it required reading for my university students. Professor Emeritus at the University of New Mexico, and Lecturer at the University of Maryland, leads his own architectural firm in Washington, DC. He has written numerous critically acclaimed books and articles, and holds a Master’s degree from the Harvard University Graduate School of Design. Designing Architecture: The Elements of Process. Posted by randydeutsch in architect, architect types, architecture industry, BIM, change, employment, marginalization, technology, the economy, transformation, transition. Last night I had the opportunity to see Oscar contender, “The Architect,” a film whose story begins in the late-CAD era. “The Architect,” whether you consider it a screwball comedy, a sentimental melodrama or a spoof, is a 2D black-and-white film that has received a great deal of praise from critics. The story focuses on a declining male starchitect and a rising starletchitect, as CAD grows out of fashion and is replaced by BIM. A valentine to early computer-aided design and drafting, “The Architect,” stars leading man Jean Dujardin as a CAD-using starchitect named George Valentin. At the top of his profession, Valentin meets eager would-be starletchitect Peppy Miller. She dreams of success in architecture, invests time in learning BIM, and as her demand rises in the industry, Valentin’s shine is eradicated. Architect Valentin faces untold obstacles: the fickleness of the public’s changing taste, the adoption of disruptive new technologies, waning powers that come with age, competition from fellow industry professionals and unemployment, among others. Faced with the economic insecurity of the Great Recession and technological change that threatens to make him obsolete, George is being crushed in a vise grip all too familiar to mid-career architects. Refusing to adapt to the onset of BIM, he puts all his money into one last CAD production. It turns out George isn’t well-suited for BIM, not least because of his mindset and attitude, dependence on 2D CAD and archaic drafting style. But BIM is perfectly suited to a vivacious ingénue named Peppy Miller, who crosses paths with George, first as a fangirl, then as an intern in the office of his firm. In 2009, just after Wall Street crashes, George’s studio stops making CAD documents. The studio head announces the end of production of 2D CAD documents, but Valentin insists that BIM is just a fad. It’s fitting that the next time he meets Peppy, on Rapidograph Studio’s main stairway, she’s on her way up and he’s on his way down. When the studio head lays-off all his 2D CAD starchitects, George decides to open his own office where he could work in CAD. His project is submitted on the same day as Miller’s new BIM project, and Valentin is ruined. His wife kicks him out and he moves into an apartment with his valet, while Miller goes on to become a major 3D starletchitect. However reassuring excursions into bygone golden ages may be – whether drafting in pencil or CAD – they carry with them the potential for revisionism, soft-focus complacency and the refusal to embrace uncomfortable but necessary change. This is why some critics are grumbling about “The Architect,” which has won a cache of critics’ awards and looks to be a contender for the Best Picture Oscar. Whereas naysaying design professionals can appreciate the fond look back at the medium they adore with equal devotion, they inevitably see “The Architect” as an all too-comfortable 2D nostalgia trip that represents stasis rather than genuine innovation, provocation or artistic risk that working in 3D enables. Those skeptics may be missing a modest but meaningful truth buried under “The Architect’s” surface and story, which is that George’s plight could easily be transposed into any modern-day profession or industry. In one of “The Architect’s” most poignant scenes, George plays a character sinking in a cement pour, an aptly desperate metaphor at a time when so many architects feel they are in over their heads. It’s a film that taps into our anxieties as we encounter seismic economic and technological transformations. He could be speaking for an entire generation of architects who feel as if they’re in mortal danger of being left behind, forced into early retirement they can’t afford — literally or psychologically – or leaving the profession altogether. At the risk of revealing a spoiler, it turns out all is not lost for George. Disappointingly, it involves a work-around – when everyone recognizes the only way out is the way through. “The Architect” may be drenched in the romance and visual values of CAD’s bygone era, but it’s a motion picture uncannily of its time. Posted by randydeutsch in BIM, IPD, software architects, survival, technology. I don’t often mention my work in building information modeling and integrated project delivery in this blog. Because that is what my other blog is for. But this, I felt, is just too important not to mention. Next week my BIM book finally ships. What’s important is that In the book is a series of in-depth interviews with some serious VIPs in our industry discussing BIM and the collaborative work processes enabled by the technology. One of my interviews is with Kristine K. Fallon FAIA of Kristine Fallon Associates, providing information technology consulting and services related to design and construction. One about the construction industry. And one about the architecture profession. Her responses to the first two questions were insightful and intelligent. Her response to the question concerning the architecture profession blew me away. Completely took me by surprise. What would you say is the #1 concern for you and your business right now? Kristine K. Fallon (KF): To be on the leading edge of the technology curve. We work very hard to be ahead of the rest of the industry. There’s no real roadmap for doing that. I worry about whether we’re identifying good technology directions and quickly galloping up the learning curve and getting good at these technologies before they’re in big demand. I actually have an incredibly vast, international network of contacts. A lot of the leading edge stuff isn’t particularly published – it’s in people’s heads or buried somewhere. Not stuff you can Google. So you have to go to the people. That’s why I am so active in so many organizations. That and staying in touch with people – it’s something I got used to doing very early in my career. What would you say is the #1 concern for the construction industry as whole? KF: I see the potential for the agglomeration – for the contractors getting absorbed into a couple big firms. That said – for all my championing of change – I enjoy the industry as it is. I love the fact that you work with different people, personalities and teams. I find that really invigorating. What would you say is the #1 concern for the architecture profession? KF: There’s a good chance that the architecture firm will go away. At this point, in England, I hear that the architects mostly work for the contractors. At that point – why have a firm? What is the role of the architecture firm? There’s certain training, skills, capabilities and qualities that architects do bring that engineers and contractors don’t bring. There’s a role for those skills and capabilities. As for being able to rely on the architect’s model for construction documents – if architects drag their feet for much longer about that, people will find a way to do without architecture firms. Because it’s just such a stupid waste of time. People will perceive firms as adding absolutely no value. You want an architect on your team somewhere to come up with creative ideas and solve problems. But why would you need an architecture firm? 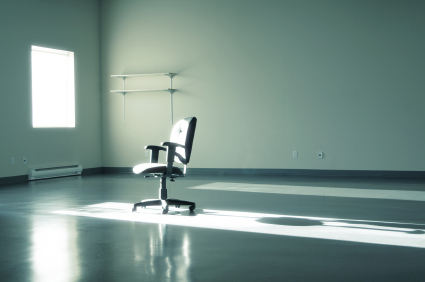 Do you agree that there’s a good chance that the architecture firm will go away? What is the purpose of having an architecture firm today, as opposed to independent architects? Do you believe that architecture firms continue to provide value? If so, what kind? And how is this value different from the value an independent architect brings to a team or project? Please let me know by leaving a comment. Posted by randydeutsch in BIM, books, career, creativity, employment, optimism, questions, survival, sustainability, the economy. Here are some of my Tweets that had the most impact from May 19-22 2011, all 140 characters or less. Take a look. 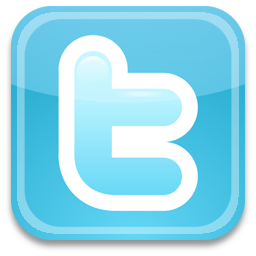 If you are not a Tweeter, by browsing the list of micro-posts you will get a good idea of how I use it. Posted by randydeutsch in BIM, books, career, change, collaboration, creativity, environment, fiction, IPD, marginalization, pragmatism, productive thinking, questions, Revit, technology. Using books as floatation devices is nothing new. Cradle to Cradle, subtitled Remaking the Way We Make Things, is printed on waterproof paper for this reason. Poetry anthologies served this purpose after 9/11 as did commonplace books carried by soldiers. That is what I hope to accomplish with this review. Building Knowledge in Architecture is a new book and lifesaver by architect, educator, researcher, scholar and poet, Richard Foqué. On the academic side, Foqué is a professor and dean emeritus at the Henry van de Velde Higher Institute of Architecture at the University College Antwerp. On the practice side, Foqué is the founder and honorary principal of FDA Architects (now OSAR), one of the largest architectural firms in Flanders. Richard Foqué’s work is characterized by the integration of architecture, art, design and science and reflected in the book “Bringing the World into Culture”, dedicated to Foqué and in which 21 eminent scholars, architects and designers bring a tribute to his work. An interdisciplinary thinker, Foqué lives and works in Antwerp, Belgium. But don’t read Building Knowledge in Architecture because of his credentials. And as importantly, digital design tools such as BIM and collaborative work processes such as integrated design, design-build, lean construction and design thinking, subjects at the focus of these discussions. A book, like any of us, competes in a marketplace for attention. Building Knowledge in Architecture, until today, appears to have been satisfied waiting patiently to be discovered on library shelves. To stand out and distinguish yourself, says consultant and author Sally Hogshead, you get only 9 seconds. Because that’s how long our attention spans today have been shortened to. Reader, here I’ll introduce you to what will surely become a fine traveling companion and fellow conversationalist in the weeks ahead. But I’ll need 9 minutes to do so – not 9 seconds. So please bear with me. 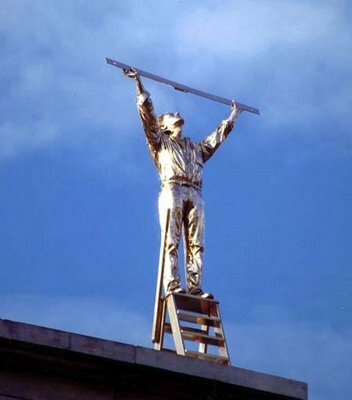 A passing glance at a sculpture, Man Measuring the Clouds, inspired Foqué to reflect on architecture and what it means to be an architect today. One page into the book, you realize you have underlined every line. It is one of those books. The book is organized in two parts. In Part 1, Building Knowledge in Architecture serves as a practical overview of contemporary architectural design methods, and proposes design – apart from science and art – as a third way to investigate the real world. But also integrated project delivery (IPD) or at least a facsimile of the same. Foqué points out that the concept of transdisciplinarity – and the way specialized knowledge can be integrated – harkens back to the work of developmental child psychologist, Jean Piaget, in the 1970’s. Per Piaget, those who have taken part on integrated design teams will recognize the suggestion that multidisciplinary collaboration is, at root, child’s play. Explaining why digital design tools, while used extensively, are infrequently taught at the university. Before I go on to quote every line in the book, I want to point out an additional pleasure in reading a book written with a poet’s sensibility. In describing the synergistic integration of art, science and technology, Foqué uses the seemingly simple example of learning to ride a bike. As only a poet – who is also an architect, educator, scholar – could have written. Foqué explains the now familiar story of how architects abandoned responsibility, and in doing so, relinquished authority, over the past 40 years. He asks: How can we reverse this decline? Part 2 of the book presents his case, so to speak. In Part 2, Building Knowledge in Architecture makes the case for case studies in architecture. Because case studies are used as teaching tools at law, medicine, and in MBA programs, architectural training should also include more reading and creating of case studies. It doesn’t need to be made. In the introduction, the author asks: Why are we sometimes reinventing the obvious? And then proceeds to fall into this same trap. Architecture curriculums already make use of case studies. I know, for example, when I taught an integrated design/technology studio, we made great use of them. They are not only, as the author argues, a practical tool for documenting complicated building projects, finding solutions to technical problems and expanding a firm’s expertise. They are also excellent opportunities for having architecture students work in teams and learn how to collaborate on a project team while still in school. The complexity of building projects almost guarantees that the teams will be multidisciplinary. An example is Aaron Greven’s course in the College of Architecture at Illinois Institute of Technology (IIT) in the Integrated Building Delivery program, a class that focuses on integrated practices and the technology that facilitates collaboration across a broad range of building project participants, for the Masters in Integrated Building Delivery program, a post-professional program that is in its pilot phase. While the example does not prove the rule, I have previously reviewed these case study presentations here. And more recently, they have been reviewed here. The book does an excellent job explaining case study research as a means to establish a knowledge base and, as importantly, develops a practical method to do so. But for me, proving the case for use of case studies in architectural education is not the reason to read this book. This point has been made before here and more importantly, here. Perhaps it is not case studies that are needed but a knowledge management and information system that can readily access the design professional’s accumulated knowledge. There are people out there who do just this. But this book does provide the rationale as well as a unique approach to constructing case studies, grounded in the arguments and methodology presented in the first part of the book. And more importantly, this book explains how we can build knowledge in our profession and industry through the use of case studies. The strengths of the book overwhelm its few weaknesses. Weaknesses first. For all of the wonderful discussion about design and creativity throughout the first part of the book, there is nary a general mention of or reference to either in the index. It is almost as though the index was created for academics who might scrutinize sources for perfunctorily academic reasons but alas, not for the general reader’s ease of use. Likewise, many of the otherwise wonderfully rich sources cited, are from the 1970’s or earlier. The book would have benefitted the reader (but no doubt not fellow academics) by referencing more contemporary examples of the same ideas or even the cited author’s more recent work. On the strength side, the book’s diagrams are truly spectacular and help to illustrate many of the book’s finer concepts. Another remarkable and no doubt unintended strength of the book is it is eminently tweetable. Today, we are rewarded for the same by being retweeted. See below for how critical Twitter is to this discussion. Because, after reading it, you will be able to say that you know what you know for the first time. And that is some accomplishment. For any book. It is absolutely critical that you read this book. Why? For all of the reasons I have stated up above. For the reason that it tells us where we have been, where we are today and where we are headed. When drowning and you are thrown a life preserver you don’t say, “no thanks, I’ve seen one of these before,” and toss your line to safety aside. A book such as this can go a long way starting to fill the gap between education and practice. That the author is a published poet can be seen in the book’s nearly perfect prose – so clear that you will not need to go back and read any sentence twice. But you will do so anyway. Because the sentences are so well-written they’ll strike a chord in you. And you will find yourself rereading them for the sheer wonder and pleasure. So don’t read Building Knowledge in Architecture because it develops a general design theory, a theoretical framework and practical instrumentation to establish a knowledge base for the discipline of architecture. Read it if you want to improve your understanding of the impact and motives on decision making so that your designs are more responsive to real needs. Read Building Knowledge in Architecture because you are an architect, an educator or student. Read it because books like this are why we still have books. Read Building Knowledge in Architecture because we as a profession are adrift and this book has been thrown to us as a lifeline. Read it because at a time when the publishing and construction industry are experiencing upheavals, it is heartening to discover a book that is as well-written and well-illustrated as it is well-constructed and physically beautiful. The book feels good in the hand, like a book by Peter Zumthor. That is because this book has been written for you. @theoryshaw P. 78 of Building Knowledge in Architecture (Design as a rational Process: The Triangle Broken) could be your mission statement. Thanks! FYI This blog was posted for readers at my other blog by a different name. Posted by randydeutsch in architect, architecture industry, BIM, books, career, change, identity, technology, the economy, transformation. Do you know where your mindset is? And do you have the right mindset to face your future? The future was presented to us the other day in the form of a PDF. That is, as the future will unfold according to Building Futures’ “The Future for Architects?” the result of a year’s inquiry and research into the future of architectural practice. Smaller practices expressed a resistance to integrated technology such as BIM. Technology is a more significant driver for larger practices – and an essential tool required to compete. The vast majority of the demand side of the profession (clients and consultants) could see design slipping further down the pecking order in the next fifteen years. Whoever carried the risk would drive the design, and so in shying away from taking on risk architects are diminishing their ability to influence design outcomes. Many saw the label ‘architect’ as restrictive and as creating barriers between themselves and other professions such as planning and urban design. Interestingly, students and graduates of engineering were more positive about their education process, and said they felt well integrated into the other built environment professions – putting them in a good position to lead the design team. How do we know that their findings are accurate? But when you look at their two previous studies – Practice Futures 2005 is an update to The Professionals’ Choice, a 2003 Building Futures publication that examined the future of the built environment professions – they predicted everything correctly. Only the global economic crisis wasn’t anticipated. To read more about the ongoing aims of the project click here, and to download their new mini-publication click here. Whether you feel powerless and victimized by these changes, or empowered and energized by them, will have something to do with your age, status and position within your organization. But more importantly, it has something to do with how you see yourself – as someone who is seen as being intelligent and having the answers. Or, instead, as someone who is open to learning. On this last point, I’ve been thinking lately about Carol Dweck who’ll be visiting one of my kid’s schools here in Winnetka, Illinois USA in the coming weeks. Her book, Mindset, is a familiar fixture in our household having spent time on just about every coffee table, night stand and otherwise flat surface in the house at one time or another. Dweck, professor of psychology at Stanford, like the hedgehog has one idea – but it is a BIG one. I’ve written about Dweck and her big idea in my other blog. She proposes that everyone has either a fixed mindset or a growth mindset. And that determines how we succeed at work and in life. Her idea has huge implications for how organizations professionally develop their employees, and the way design professionals go about professionally developing themselves. A fixed mindset is one in which you view your talents and abilities as fixed. In other words, you are who you are, your intelligence and talents are fixed, and your fate is to go through life avoiding challenge and failure. So an architect with a fixed mindset would have rigid thinking, be set in their ways, practice their profession as a tradition with conventions that are time-tested, unvarying and inflexible. For architects with fixed mindsets, architecture has to be practiced a certain way otherwise they will not be able to protect the health, welfare and safety of people who inhabit their buildings. You can see how architects, through education, training and practice, could develop fixed mindset attitudes concerning practice and the damage this attitude inflicts on us and those we work with. Their disregard of learning and challenge hinders their performance which in turn hinders their professional development of knowledge, skills and abilities. A growth mindset, on the other hand, is one in which you see yourself as fluid, a work in progress. Your fate is one of growth and opportunity. An architect with a growth mindset recognizes that a change of mind is always possible and even welcome. Note that this isn’t about positive and negative thinking – but about fixed and growth mindsets. 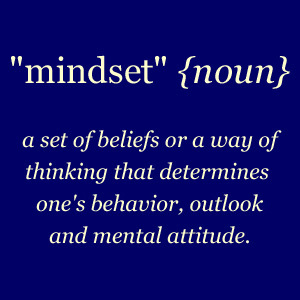 According to the dictionary, a mindset is an established set of attitudes held by someone. When it comes to your career, which mindset do you possess? The good news, says Dweck, is that mindsets are not set. At any time, you can learn to use a growth mindset to achieve your goals. This is perhaps the best reason to read Mindset. In the book Dweck tells how we can develop a growth mindset and improve our lives and the lives of those around us. Step 2. Recognize that you have a choice. Step 3. Talk back to it with a growth mindset voice. Step 4. Take the growth mindset action. For those familiar with cognitive theory, you may recognize some similarities. For more detail, look here. For us visual types, here’s an illustration that effectively describes the differences between the fixed and growth mindsets. We’ll all need a growth mindset if we’re to meet the challenges facing the future for architects. Despite the steps listed above, I cannot think of a more important first step than reading this book. Posted by randydeutsch in architect, BIM, books, collaboration, IPD, management, problem solving, sustainability, the economy. Is the ability to collaborate something we are born with only later to forget? Are we wired to collaborate? Michael Tomasello in Why We Cooperate argues that we are – up until a certain age. Then – through conditioning – we forget. Tomasello’s book itself is an interesting act of cooperation, where the author invited his severest critics to poke holes in his argument and explore the implications of his work in light of their own research. To put it another way: as we grow we cooperate conditionally, attending to the behavior of others. This has huge implications for architects and design professionals who might be naturally collaborative – through sharing knowledge, learning, mentoring and teaching – but are otherwise conditioned by the culture of the firm where they work. Some firms encourage collaboration while others discourage it by focusing exclusively on individual achievement or by not valuing knowledge sharing. In a sense, you are collaborative because the culture of your organization is one that promotes and encourages collaboration. The word “collaboration” seems to have been invented to provide adults with a serious sounding activity that we, as children, seemed to do naturally. We like to think of collaboration as the latest business buzzword but of course is nothing new. The word is actually 130 years old, making headlines nearly 100 years ago in the New York Times. We are all still trying to figure out how to do it effectively or at least how to sell it as a unique way architects work. In any event, there’s a great deal we need to unlearn in order to return to our original sharing attitude and collaborative ways, including bad habits we’ve picked up since we left the cocoon of school and embarked on the hard knocks of a career in architecture and construction, where we learned to be mistrustful, skeptical, competitive, secretive, working independently out of silos. We unlearned all of the critical natural habits, attitudes and mindsets necessary to work effectively on integrated teams. While collaboration extends and reorients insight, increases efficiency, creates credibility and community, the word itself is too often loosely defined. Collaboration is simply when people work together to create something that couldn’t be done by someone on their own. We do it all the time when designing buildings, resolving problems or working with owners to deliver solutions. The difference today is that we need to get even better at working together and sharing knowledge to solve problems, which are getting larger and more complex. Moving beyond our boundaries – personal, organizational – requires that we see our blind spots and who better than our fellow collaborators – seeing-eye professionals – can help us see our blind spots? To do so we have to seek out people who have other pieces of the puzzle. Collaboration is best used to solve what Howard Gardner called “wicked” problems with “imperfect, changing or divergent solutions.” The problems architects face today are wicked in that they are complex, defying simple formulations and easy solutions, such as fighting global warming or increasing productivity in the construction industry. Problems aren’t only wicked – they’re simultaneous – occurring at the same time. Buildings aren’t only complicated, becoming increasingly complex; they also change quickly, marked by a sense of urgency. To remain efficient and effective, recognizing when it’s unhelpful to collaborate can be important. There’s no need to collaborate, for example, on simple, repetitive, fast turnaround assignments. We don’t trust that this diverse group of people we hardly know will be able to perform better than we can on our own and tend to feel more comfortable and self-assured managing tangible things such as projects over people and relationships. Fortunately, architects are more people-focused later in their careers. Chemistry – because how can you work well together if you don’t like each other? Equal, multiple expertise – it’s not truly collaboration if the manager cannot participate in design and the designer cannot participate in managing – it’s an assembly line. A willingness to play – because fun leads to better, more creative results. Listening – because it’s about the process of making something together. Because architects find themselves questioning their relevance, their collaborative participation is crucial. We perhaps sent the wrong message by recently honoring sole practitioners such as Glenn Murcutt and Peter Zumthor because it glamorizes autonomy over working together. Why collaborate? Because if you don’t you will not fully participate in public, community, creative and economic life. We may be natural collaborators, but now it is time for us to build collaborative cultures. Posted by randydeutsch in architecture industry, BIM, books, change, collaboration, fiction, IPD, management, nonfiction, reading, survival, technology, transformation, transition. The architecture profession and construction industry are in transition. A transition largely driven by technology, but also driven by owners. Owners fed up with adversarial relations between team members, with material waste, with schedules and budgets not being met; owners wanting greater accountability and improved efficiencies on the part of design professionals and constructors. But this transition is also due to the increasing complexity: of buildings, building systems, team make-up, processes, technology, stringent energy, security and other project requirements and goals that seem to increase on a daily basis. A desire for improved efficiencies and a demand for fewer conflicts, less resistance, better information sharing and communication and an improvement in team relations. Everyone wants fewer claims and better results. One thing is clear: To meet these demands we need to change. But change is hard and creates the very resistance that we need to rid ourselves of. With the economy slowly improving and recovery on the horizon you need to do EVERYTHING you can to assure yourself a place at the table when it does arrive. As Kimon Onuma writes, you have but two choices: Evolve or Dissolve. Much in the vein of Thom Mayne’s Change or Perish, these words are intended to get us motivated, moving and evolving. What to do: Skim the list. Start anywhere – find an item that interests you – and act on it. Today. Return to the list on a regular basis. It was created to help you evolve – one small incremental step at a time. Keep this in mind: If you have suggestions for helping us evolve that you don’t see here, please add them by leaving a comment. Your help here is welcome, needed and appreciated. We’re all in this together. 1. Represent Both Clients Architects represent both paying and “non-paying” clients (public-at-large, neighbors, building users.) List the ways in which you address and represent non-paying client on your last project and make a commitment to do more on the next. 2. Ask Yourself: Is Your Profession Unethical? Is the profession of architecture corrupt? That is the question Harvard educator Victoria Beach asked recently at the Design Intelligence blog. Read what your contemporaries have to say in one of the liveliest, most animated online discussions in ages. Better yet, join the discussion. Still unsure of where you stand? Sometimes you don’t know until you write it down. Leave a comment. 3. See the Future Before it Happens Check out this presentation of a workshop on The Future of the AEC Industry. 5. Assess Your Communication Style You might be an expressive trying to sell your ideas to financial types. One reason you might have difficulty convincing others to see your vision and agree with your suggestions is that you might be speaking different languages. There are many books and resources online to assess your style – start here. 6. Assess Your Emotional Intelligence Emotional Intelligence 2.0 is a great book that will provide you with the tools and outlook you need to work collaboratively with others in the workplace and out in the field. Buy it new, and the book comes with a one-user-only code that will get you entry to a new, enhanced online edition of the world’s bestselling emotional intelligence test, the Emotional Intelligence Appraisal®, that will show you where your EQ stands today and what you can do to begin maximizing it immediately. Find it here. 7. Assess the Emotional Intelligence of Your Team Have you ever wondered what happens when you put in all that time and energy working to improve your own communication style and emotional intelligence only to discover that one of your team members (not naming any names) had to go ahead and ruin it for everybody? Learn more about how to work in, with and around this situation in The Emotionally Intelligent Team: Understanding and Developing the Behaviors of Success. An excellent resource that uses a seven-step approach for learning to maximize performance on any team. 8. Assess Your Personality Whether an ENFJ or ENFP (as most architects are) there are pros and cons for taking the Myers-Briggs personality type assessment test online – I have had the most luck here. 9. Read Donald W. MacKinnon Written in the 1970’s, In Search of Human Effectiveness: Identifying and Developing Creativity will convince you that you share many of the same characteristics of the 20th century’s greatest architects and can be found for under $3 here. 10. Read More Make a commitment to read more. Ask yourself how many non-fiction books you read in a year; fiction books; how many articles; how many blogs and websites you visit. It doesn’t necessarily matter whether these are industry-related. Reading outside your area of expertise makes you more interesting to coworkers as well as clients. This list is filled with suggested places to start. 11. Learn the Power of Collective Wisdom Just read the customer reviews to convince yourself of the positive impact and originality of The Power of Collective Wisdom: And the Trap of Collective Folly to help you grow into a thoroughly collaborative team member. Yours here for under $8. 12. Watch Joshua Prince-Ramus in Action Speaking probably more effectively than anyone before or since on the future of the profession and the industry especially here and here and here. 13. Apply What You Read to your design. To your next proposal or cover letter. To the next presentation that you give or design competition that you enter. 14. Join the In-the-Know Group KA Connect on LinkedIn. Short for Knowledge Architecture – where the AEC industry and knowledge management (and just about everything in between) meet. One of the hottest and fastest growing groups with ongoing discussions – the start-up group is headed by Knowledge Architecture founder Chris Parsons. A great way for architects to expose themselves to like-minded individuals from many walks of life while sharpening their edge. A must. 15. Keep a Quote File Some of the best architects not only keep a file of the projects that appeal to them the most, but also a file for the bon mot words or phrases that appeal to them. Once kept in a safe place for easy access – you can pull one out to emphasize a point or design idea. 16. Collect Quotes Describing Architects Then do the exact opposite. I came across this quote this morning: “Most architects think their audience is other architects.” We often hear that museums are designed more to exhibit the architecture than the art that they were originally intended to contain. When you come across comments describing what you yourself don’t like about other architects – save it – and then do the opposite. The composite of what-not-to-dos could result in as compelling an example of the evolved architect as following any to-do list. 17. Understand What Motivates You Access the valuable tools and resources that make up a good part of Dan Pink’s Drive: The Surprising Truth About What Motivates Us. Watch Dan perform at a recent TED conference of the difference between intrinsic and extrinsic motivation. 18. Become a Master Builder How well are you immersed and rehearsed in building construction? Do an honest assessment (ask the last contractor that you worked with what they think about your construction awareness and abilities) – then team with a contractor early on your next project, supplement your learning by attending conferences and through reading. Make it your goal to become more well-rounded as a design-construction professional. 19. Change Your Mind How so? Not in terms of indecisiveness. But instead in terms of what will be needed from architects in the near future. Read anything written by Howard Gardner – but if you have to start somewhere consider starting with his latest book, a very inspiring read 5 Minds for the Future. I heard him speak on this topic last year and his ideas are absolutely transformative. 20. Change Your Mind II Reread Dan Pink’s A Whole New Mind: Why Right-Brainers Will Rule the Future with this in mind: How can you evolve as an architect by addressing both sides of the mind? In other words, as an architect, you are being hired because of your left as well as your right brain. The best thinking involves both sides – called whole brain thinking. Make it your concerted practice to be a whole brain thinker. And here. 21. Change Others’ Minds Already convinced yourself, but not yet sure those around you are on board? If you can’t get everyone to read and discuss Dan Pink’s book, why not brown bag it in the conference room one day and spend an hour watching and afterwards discussing Dan Pink’s inspiring dvd? 22. Subscribe to Revit3D.com Gregory Arkin’s blog on all things BIM, LEED and IPD. There you’ll be blessed with a minimum of three posts a day on average providing software tips and tricks (don’t be fooled by the name, the scope is broad and generous including posts on Navisworks, AutoCAD, Ecotect and other Autodesk products, as well as reports, videos, charts and just about everything else you need to evolve. 23. Google Alerts Maybe you’re already using this or feel that your email inbox already overrun with items that you are having trouble keeping up with. 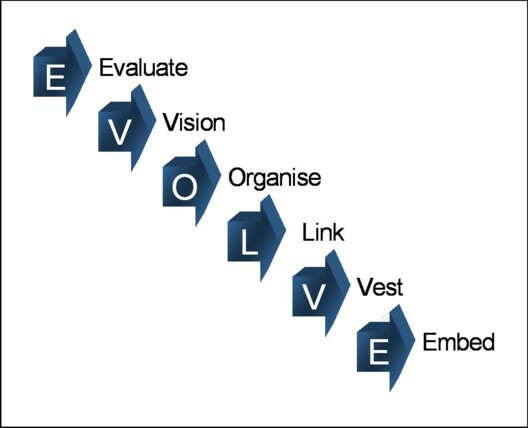 To evolve you have to keep up and even stay ahead of the pack. Twitter is great for this but if you want to learn what is happening even before Twitter pick a subject of interest, of fascination or obsession, and have Google alert you daily – or even as the latest relevant item arises, anywhere on the internet by email. 24. No Time? Read the Comments If you just don’t have the time in your schedule to accommodate one more book, use this workaround: read the comments that readers leave at Amazon, at news sources or in the group discussions on LinkedIn. In a very short matter of time you can pick up the gist of just about any subject, witness multiple points of views, formulate your own opinion and maybe even be able to discuss the topic on a cursory level with others. 25. Imagine the World in 20 or 30 Years Or better yet, visit this site that does the imagining for you. Just sit back and become informed – and ideally motivated – by all that you find here. As climate change touches every aspect of our lives, how will it change us? How will we adapt? Living Climate Change is a devoted space for the most defining design challenge of our time. It’s also a place to support fresh thinking and share provocative ideas about the future. 27. Spend More Time in School Or at least at school. Commit to visiting your nearest architecture school at least twice a year, to serve on a design jury, or provide much-needed feedback at desk crits on your area of expertise. Sign-up to give a lecture on a topic to fill a gap in the curricula. Give an impromptu talk on portfolio design or resume writing or interview best practices. Pay attention to the student’s work: the inspiration you will gain from being around their energy and fresh ideas will pay off in dividends over time. 28. Reread Refabricating Architecture You have it on your shelf. Refabricating Architecture: How Manufacturing Methodologies are Poised to Transform Building Construction by Kieran and Timberlake. This time, read it with an eye to better understand how working in BIM can lead to virtual models that go directly to fabrication. Ask yourself: What level of detail is required? What impact will this have on insurance, liability, responsibility and roles? Is this something you are even interested in, or does considering this future make you recoil from the work of construction? If it does – ask yourself this: What then – in this world – does it mean to be an architect? Your answer to this question may help you to decide. 29. Mentor The best way to learn is to teach, and the best way to teach is to mentor. What better way to give back to the profession and community than to share some of your hard earned experience, information – and passion – with those just starting out? Become a mentor. 30. Join the Conversation Read Building (in) the Future: Recasting Labor in Architecture That conversation…on the use of technology across the building-design and construction processes. The book is a collection of essays by industry leaders, theorists, and academics organized into two main sections, `Working and Making’ followed by `Collaboration,’ or very roughly into BIM and IPD. Over thirty contributors – including Phillip Bernstein Autodesk, Inc., Building Solutions Division VP and Yale School of Architecture lecturer, Peggy Deamer, Kenneth Frampton, Paolo Tombesi, Howard W. Ashcraft, Jr., Reinhold Martin, James Carpenter, Branko Kolarevic, Chris Noble and Kent Larson among many others – including designers, engineers, fabricators, contractors, construction managers, planners, and scholars examine how contemporary practices of production are reshaping the design/construction process. Exposing yourself to these topics – originally presented and discussed at a Yale U conference in 2006 – will put you back in the conversation concerning the most heated topics in architectural practice, creation and construction. 31. Continue the Conversation By getting your hands on a copy of, and reading, the essays and interviews in Provisional: Emerging Modes of Architectural Practice USA. 32. Try Kaizen One small step at a time. That’s the kaizen approach. Small steps, taken daily, even keel, bring about the results you are looking for before you even realize it. The no-pain all-to-gain approach. See also the surprisingly relevant Bird by Bird: Some Instructions on Writing and Life by Anne Lamott. 34. Reevaluate Your Sustainability Efforts Why? Because what is needed today may not be needed tomorrow. Just consider this and decide for yourself if this is the case. 35. Live In More Than One World Living in More Than One World: How Peter Drucker’s Wisdom Can Inspire and Transform Your Life shares with you the management guru’s belief in recognizing the importance of diversifying the nature and extent of daily existence, to sharpen a sense of curiosity while remaining open to new ideas, and to learn as much as possible from as many different sources as possible. Something every architect needs in order to remain current and grow with the times. 36. Immerse Yourself in Lean Construction Lean – where Integrated Project Delivery (IPD) got its start. A good place for you to start – and a handy pocket-sized reference and toolkit packed with diagrams, lists and charts for under $10 – is The Simply Lean Pocket Guide for Construction which is small and light enough for you to read on your commute and take anywhere you go. 37. Re-familiarize Yourself BIM Revisit the subject with fresh eyes. Here’s a great place to start. One of AIA’s 2009 Integrated Practice Discussion Group’s (IPDiG) projects involved revisiting the “Report on Integrated Practice“ released during the 2006 AIA National Convention in Los Angeles. This report contains ten essays by leaders in many disciplines on the world of, and the state of, Integrated Practice. IPDiG wanted to explore what portions of that report remain valid today and what portions may warrant updates to reflect the current “state of the art”. Through interviews with each of the report’s original authors, IPDIG sought to solicit their views. The original essays―along with newly developed commentaries and podcasts―will be released monthly in AIArchitect as part of the 2009 and Beyond series and are available here. 38. Immerse yourself in IPD Some of the best sources – all free – are available here. Integrated Practice/Integrated Project Delivery (IP/IPD) leverages early contributions of knowledge and expertise through the utilization of new technologies, allowing all team members to better realize their highest potentials while expanding the value they provide throughout the project life cycle. 39. Choose Your Poison This is a great place for architects to get excited, get motivated and get involved. 40. Join a Knowledge Community The Practice Management Knowledge Community (PMKC) identifies and develops information on the business of architecture for use by the profession to maintain and improve the quality of the professional and business environment. The PMKC initiates programs, provides content and serves as a resource to other knowledge communities, and acts as experts on AIA Institute programs and policies that pertain to a wide variety of business practices and trends. Find one here. 42. Discover How to Become a T-Shaped Architect The T-Shaped teammate: a simple, seemingly obvious concept that could transform you as well as an entire industry. 44. Put Down What You Are Doing and Read This Book it may seem that based on this list reading books is the answer for evolving as an architect. That is only partly true. But here is one book that is critical that ever design professional reads in order to evolve professionally. The Future and Its Enemies: The Growing Conflict Over Creativity, Enterprise, and Progress by Virginia Postrel (yes that Virginia Postrel, author of The Substance of Style and AIA Convention keynote speaker.) Simply put, the book sanctions the world into two groups: stasists (who urge control and favor the status quo) and dynamists (who will shape the future.) To which group do you belong? Read and find out what the implications are for you and our profession. 45. Be Like John John Moebes, that is, director of construction, Crate & Barrel. Get your hands on one of his online presentations or better yet, hear him speak in person. 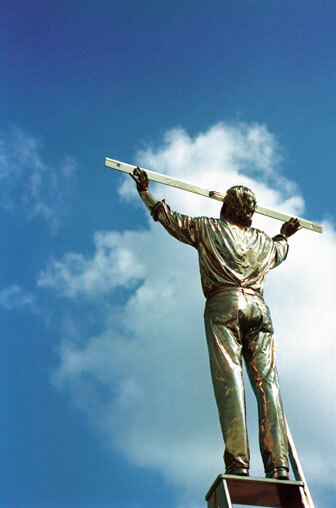 A truly inspired and inspiring construction professional and owner leading the way for the industry. 46. Visit Collaborative Construction on a regular basis. The website and cutting-edge blog belonging to James L. Salmon, Esq., that is, that serves as a gateway to what he calls the collaborative revolution that is sweeping the construction industry. 47. Revit vs. Archicad vs. Microstation Become informed, try them out, make an opinion and move on. The future is in your hands. Don’t waste the opportunity debating the pros and cons or worse – waiting for the perfect app. It’ll never happen. Except only in your hands. So get modeling! 48. Spend a Day at Home and take- in some educational videos. 49. Become an Intrapreneur Intrapreneurship – entrepreneurship within a large organization: one valuable, productive and relevant way to survive these turbulent times. 50. Create a Master Directory of resources – and use it. Here’s one for Revit blogs but you can also find some great links here and here. Pick your weapon and master it – the world is your oyster! 51. Overcome Your Immunity to Change Read Immunity to Change: How to Overcome It and Unlock the Potential in Yourself and Your Organization a wonderfully original approach to a familiar problem: why many crucial change efforts fail and how you can assure yours won’t. Catch a free presentation here. 52. Reacquaint Yourself with Great Architecture With all of the demands on us it is easy to forget why we are doing what we do in the first place. To stay motivated to change, it helps to refresh our memory and restart our engines from time to time. Nothing compares with visiting buildings in person, but short of that there are several ways to experience great buildings vicariously. 53. Spend Some Time at the AECCafé There is always something of interest and of importance happening here. 54. Attend an Industry Webinar There’s always something happening nearly every day. Earn learning units, expose yourself to future practice issues and ideas. Better yet, watch with colleagues while brown bagging it and leave time at the end to discuss what you learned and how you might apply it – and act on it – in your career and in your firm. 55. Get Comfortable with Transformative Tools So exactly what is this panacea for all that ails the design and construction industry? Here’s a good place to find out. Do you have others to recommend? Learn about how to select the right tools for internal and external collaboration – watch this presentation. See Collaborating with Contractors for Innovative Architecture to better be able to evaluate the pros and cons of collaborating, including insurance and legal issues. Become familiar with the myriad types of collaborative project delivery – including integrated project delivery – the most collaborative of all. The Culture of Collaboration by Evan Rosen showing how collaboration creates value in business. How to Make Collaboration Work by David Straus offers five principles of collaboration (Involve the Relevant Stakeholders, Build Consensus Phase by Phase, Design a Process Map, Designate a Process Facilitator, and Harness the Power of Group Memory) that have been tested and refined in organizations everywhere, addressing the specific challenges people face when trying to work collaboratively. Each can be applied to any problem-solving scenario. The Collaborative Habit by choreographer Twyla Tharp. Life Lessons for Working Together. Posted by randydeutsch in architect, BIM, collaboration, creativity, essence, IPD, management, marginalization, problem solving, questions, software architects, technology, the economy. So why do architects keep treating design like it’s a noun? What architects talk about when they talk about design – is mostly buildings. Design strategies, initiatives, options? Design criteria, benchmarks and objectives? Leave these for MBAs. “Hiring an AIA architect,” says the AIA website, “could be the best decision you’ll make for your design project.” Yet no client considers their project a design assignment. That’s framing it as an architect sees it. Design – the noun – is a tool architects use to plan and solve a client’s or owner’s problems: they need more space, they need to move and they need to attract more students or customers or retain the ones they have. They don’t have design projects – we do. And note: the emphasis is on action – not thing. To a client, an architect may help you to realize, recommend, guide, clarify, define, orchestrate, and help you get the most for your construction dollar. All verbs. If that’s what we mean by design – then why don’t we say it? Why don’t we remind others that that is what we do? And with the 2010 AIA Convention on the horizon why don’t we remind ourselves of this meaning of the word? That said, if design is our core competency – what distinguishes us from pretenders –the act of design takes up a relatively small part of our day. Over the past 25 years I have worked on several projects where I might design the building in a day – and then spend the next 3-5 years fleshing it out – and everything else that’s required to see to its realization. Some would say fleshing it out is someone else’s design development and another person’s iteration and still another’s level of detail. Sure – there is a great deal more design to do once the client says go. But again – the emphasis is on action – design as a verb – and not on the building. One of the advantages of the new technologies such as Building Information Modeling (BIM) and Integrated Project Delivery (IPD) – the collaborative work process enabled by it (the subject of my other blog www.bimandintegrateddesign.com)– is that design occurs early, involving many stakeholders, and can come from just about anywhere. Yes, the architect may orchestrate the effort – and may be the one person qualified to do so – but she’s still applying for that position, it has not been awarded yet. Design in the near future will happen sooner in the process, by many – including considerable contributions made by non-designers and designers alike. In fact – architects have been threatened by the role of the “designer” that has been appearing more and more in industry diagrams illustrating construction project teams. Where in these diagrams is the architect? The architect’s very survival instinct kicks in when this happens and what ensues can be unnerving. I have seen chairs fly and voices rise. Someone else is moving in on our territory and the instinct is to attack. When we talk about design – who is our intended audience? By calling attention to design are we thinking that this will remind others on the construction team who really has the corner on design? Is this the meta-message for making this the year of design? “Don’t forget – architects design, too.” By calling attention to design, are we primarily reminding others that we design? Or – and at the same time – are we reminding ourselves? Because many architects haven’t designed a building since the immersive studio experience in school and are in need of reminding. All but buried in building codes, zoning regulations, contractor’s RFI’s and change orders, lean construction, green building rating systems – not to mention BIM, IPD, VDC and a hundred other acronyms that come our way – it’s almost as though instead of announcing to the world who we are, we are announcing it to ourselves. It’s almost as though we’re experiencing a form of professional amnesia or Alzheimer’s – and can’t remember who we are and what we do. Design: Who we are. What we do. Part of the problem is that the word design has become ubiquitous. Architects, of course, don’t have a corner on the design market. Yes, architects design, but so do web designers, product designers, urban designers, environmental designers, business designers, set design, packaging design, game design, exhibition designers, landscape designers, graphic designers, interior designers, industrial designers, fashion designers and all the other T-shaped designers to name but a few. If design is the planning that serves as the basis for the making of every object and system in the universe, then what are we talking about when we talk about design? How can our purpose, our heart, our core – as design professionals – be such a small part of what we do? And – if the new technologies and work processes have their way – we’re about to do even less of it. Or do more of it in our heads. Or conceptualize in the monitor, using the program’s built-in metrics to ferret out the most cost effective options. The problem with the word design isn’t that it too narrowly defines what we as architects do. The problem is that the word design is overused, vague, appropriated by too many industries and domains – from MBA’s to makers of medical devices. I can understand the need for a convention to have as its subject a sweeping or enveloping concept to allow for the myriad specific entries and presentation-. As the convention material puts it, the weft through which a number of threads—sustainability, diversity, professional practice, technologies, leadership, communities, typologies, and others—will be woven. Last year’s was diversity. Next year’s – you can imagine – will be selected from amongst the remaining threads. That design is not enough of a differentiator, whether building, city or global design. To go from diversity to design isn’t to return to our roots. What is unique to the architect? Is it design or is it design thinking? Is it design or is it problem identifying and problem solving? The word design has too many connotations and is appropriated by too many industries. Earlier, I did my best to answer these questions here in Ten Ways to Face the Decade like an Architect. So, before heading off for the AIA Convention in Miami, ask yourself: What do we talk about when we talk about design? Are we talking about design as a competitive advantage over our competition, namely design-builders and construction managers and other design professionals? Is design enough of a differentiator? Others on the construction team see themselves as designers – including some owners and fellow design professionals. By separating design from the rest of the process are we reinforcing others’ firmly held notions – however erroneous – that architects are elitist, arrogant, isolationists, rarified in some way. Will architects who gather to celebrate design – and celebrate themselves – be accused of navel gazing, reinforcing the scourge of being labeled out-of-touch aesthetes? Will architects be seen by others – disenfranchised and disillusioned architects among them – as reinforcing their already perceived irrelevance in the construction process, by meeting to talk about design they’re proverbially rearranging deckchairs while the rest of the profession goes down? Will meeting to talk about design further sharpen the architect’s already considerable edge by playing-up their cool factor and wow factor? 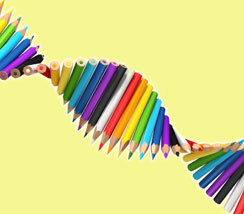 If design can’t be taught and is something you intuit – that you either have it or you don’t – why meet to talk about it? By talking about design do architects risk alienating teammates by remind them of their increasing irrelevance? While the rest of the world is knee deep in design thinking will architects be perceived as focusing on design without the thinking? By talking about the design of buildings as objects as opposed to systems, flows or solutions, will architects – with the Wal-Marting of the world and Targeting of design – reinforce the commoditizing of their skill-sets? If I just have the spark of an idea now, I can get a designer in Taiwan to design it. I can get a factory in China to produce a prototype. I can get a factory in Vietnam to mass manufacture it. I can use Amazon.com to handle fulfillment. I can use freelancer.com to find someone to do my logo and manage my backroom. And I can do all this at incredibly low prices. The one thing that is not a commodity and never will be is that spark of an idea. Are architects talking about design like fish talking about water? The idea of Design Thinking is really taking hold here with business. Last week I attended a panel discussion focused on the topic of Design and Business. The event was held at Swissnex here in San Francisco. All of the panel members were business people. I commented to my business partner that we needed to be on the panel alongside the persons from Clorox and Nestle. There was an administrator from the California College of Arts’ MBA program. They have an MBA focused on Design Thinking. Architects are already seen by many as the makers of pretty pictures. By getting together to talk about design will we be perpetuating this perception? As Ted wrote, we needed to be on the panel. Architects – working at many scales, from GIS to doorknobs – are first and foremost design thinkers. Design thinking is a term that some feel is the latest buzzword and by the time you read this will already be past-tense. But the truth is – whatever you call it – design thinking is something we as architects have done for centuries. You can learn more about it here. What should our message be? The American Institute of Architects: Driving positive change through the power of design. Sooner that contrarian author and Design Futures Council board member, Richard Farson, author of The Power of Design, should speak at the convention. Serve as the Credible Voice: Promote the members and their AIA as the credible voice for quality design and the built environment. Quality design. There you have it. With the focus front and center of the product and not the process. The planet will always need quality design. But what the world needs right now is not more buildings but the creativity and ingenuity that goes into their design applied to the problems and forces at hand. 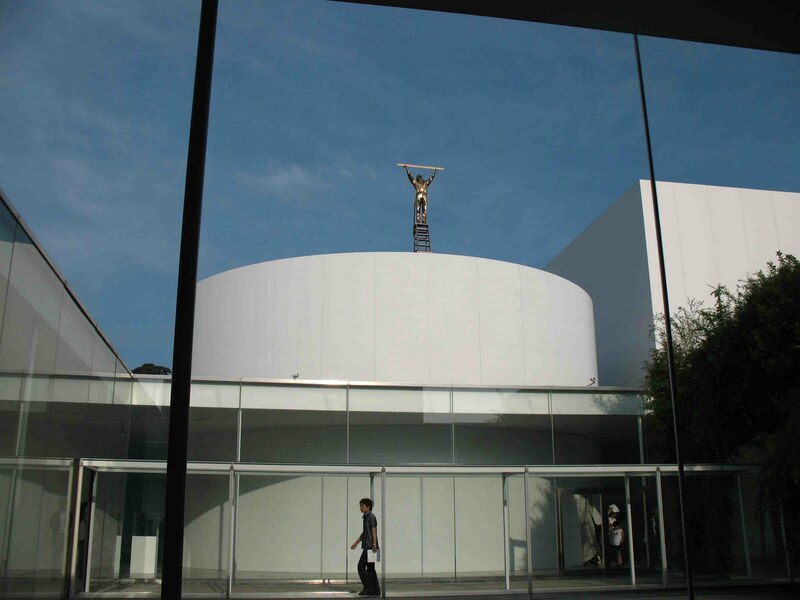 We love buildings – we love architecture – that is why we became architects: to be part of their design and realization. But, as IDEO’s Diego Rodriguez says, Stop Treating Design as A Noun. Is design even the message we need to be sending? At this time in history, shouldn’t our message be on collaboration, cooperation, teamwork, making our teammates look better, improving the process for all involved, playing well with others and our trustworthiness? Cool buildings, innovative form and materials, sustainable design. 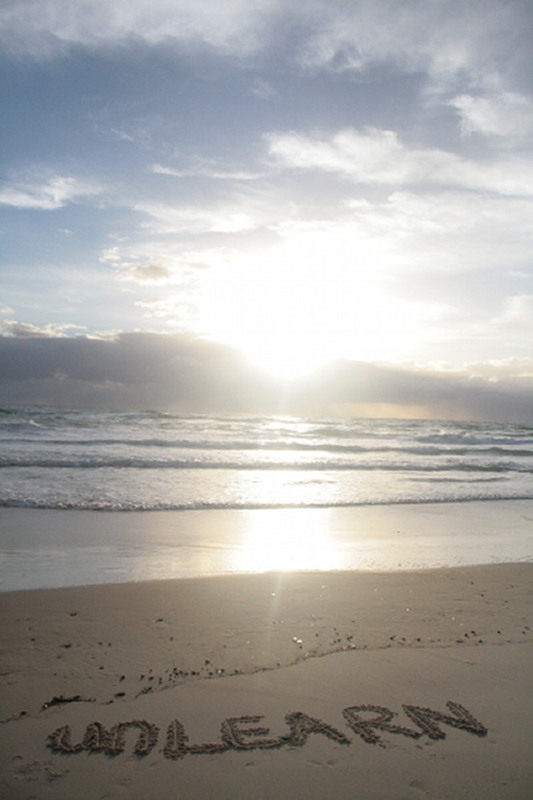 With the selection of Dan Pink as keynote, the message appears to be that we have been spending too much time in the left hemisphere – with all of our focus on the left-brain thinking required of practice – and seek some Florida solace in the sun and respite in the right. Once architects leave Miami, their brains newly balanced and their hemispheres aligned, perhaps we ought to consider the fact that what distinguishes the architect is the mercurial interaction of our left and right hemispheres. Design is not the domain exclusively of the left or right brains – but the back-and-forth interaction of the two. Our real value as architects occurs in neither individual lobe but in the space between. Architects already do what the world needs most right now – they don’t need to emphasize one hemisphere over another – they just need to get the word out there a little louder in a world that’s already screaming for attention; that this is what we already do, this is who we already are. Don’t get me wrong – I love Dan Pink. He spoke back to back at the Design Futures Council’s summit AND my kid’s middle school last Fall. He’s moved on – driven – past design onto more intrinsically motivated pastures. And we ought to take a clue from him and follow his lead. So it should be clear by now. Design isn’t what we do or who we are. But instead Design thinking. Design deliberation. Design countenance. It’s not design – that’s shared by far too many to have any meaning – but what we do with it. Design isn’t a skill but a modifier for who we are and what we do. We ought to start acting more like it and let others in on the secret. So go ahead – re-commit yourself to design as the architect’s primary mode of thought and action. Just don’t be fooled by the siren song of designed objects be they places, projects or things. What you are re-committing to is making design thought and design action a priority. Design thinking and design doing: who we are and what we do. This is the crux: for the present time – to reinforce the notion that we are team players, that we are relevant, that we are necessary – we ought to emphasize our positive impact on the process, not the end result. We are designers in that we are design managers and design leaders. We are designers – we are design thinkers – gathering to re-commit to helping to define and solve our clients’, city’s, community’s and neighborhoods’ problems. That is design for the new decade.